The index opened flat to positive and after seeing an initial dips towards the lows of the day at 8925, moved higher with each passing hour to scale the psychological level of 9000, to a new all time high at 9008, but closed just lower at 8996.25, gain of 39.50 points. The broader market was also strong, with 946 advances to 550 declines. Developing Range as per Option Table has expanded to 8500-9200. Call option 9100-9500 added huge 9.67 lacs OI with short covering seen at 9000 and lower strike prices. Put option 9100-8400 added huge 21.14 lacs OI with profit booking seen at 8300 strike price. 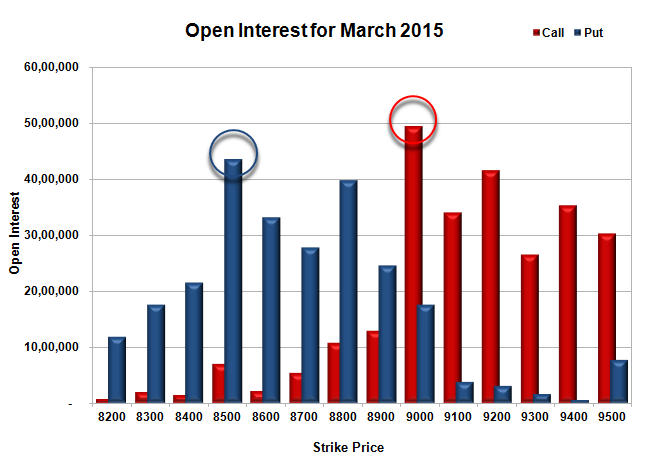 Nifty Open Interest is at 2,78,14,575 up by 12,30,375, with increase in price, most probably huge long build-up. 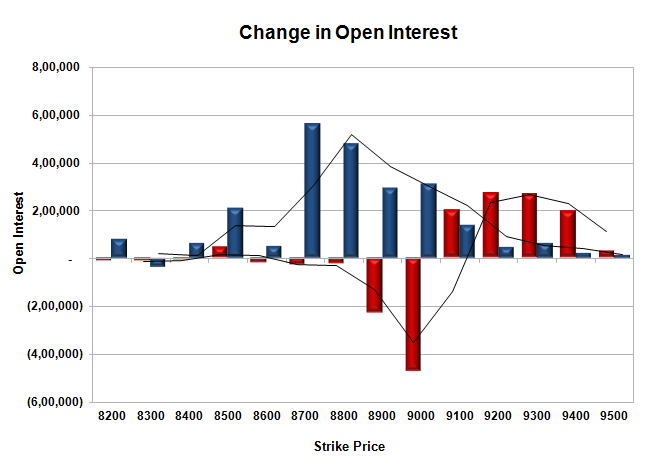 Bank Nifty Open Interest is at 20,20,475 up by 25,025, with decrease in price, most probably small short build-up. FII’s bought huge 12.37 lacs Futures, which includes 96034 contracts long build-up and 3000 contracts short build-up, with increase in net OI by 99034 contracts (includes 106549 longs to 57085 shorts for the day) and the Average Price comes to 9084.99. FII’s Index future open contract as on date is 883546 Longs to 96034 Shorts, net long 787512 up by huge 49464 contracts. Initial support at 8900, with OI of 24.58 lacs OI and below that at 8800 with OI of 39.84 lacs. Initial and best resistance still at 9000, with highest OI of 49.38 lacs and above that at 9200 with OI of 41.54 lacs. 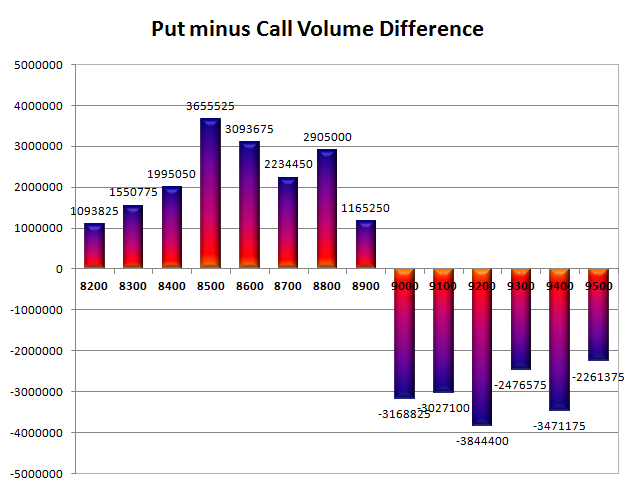 Day Range as per Option Table is 8899 - 9063 and as per VIX is 8923 - 9069 with 8977 as the Pivot.